Yes, sometimes I think books are delicious enough to eat, but that's not what the title refers to. In this article, I want to look at ways to combine two things kids and chooks love - food and literacy. Have you ever thought about creating your own family cookbook with your kids? Making an heirloom cookbook is a great family project. You need to decide on all the family favourites. Here's an opportunity for your kids to write lists. Kids can then interview or consult grandparents and other relatives to ask for their recipes. That way they get to practise their speaking and listening skills, two vital components of literacy. Once you've gathered your material, you need to decide on a format to present it to your audience. You might go digital or print, but using both options means you cater to a wider range of needs. Make sure you involve your children in all these decisions - seeing all the steps that make up a project like this is great experience for them, and helps them develop problem-solving skills. I made this mock-up recipe book cover below, using a template from Pages, but you can use any word-processing software. Depending on the age of your kids, you might need to type the recipes up, but kids can decorate each page. Adding photos and anecdotes gives your family cookbook a truly special touch. If you want to accentuate the heirloom aspect of your book, you could use vintage clip art, or edit your photos to give them an antique look or sepia tones. You might ask grandparents for stories about special family meals or occasions, and partner them with appropriate recipes. Perhaps your family cookbook might be totally contained within a photo album. Or you might create a slideshow or movie of it. Some online sites like Mixbook will let you assemble a digital version of your book, and then you pay for printed copies. Or as I said, you can simply use a word processing program to create, then print your own copies. At the launch of your family cookbook, why not have a party and let your kids read their favourite snippets aloud to your audience - food and literacy make a happy combination. 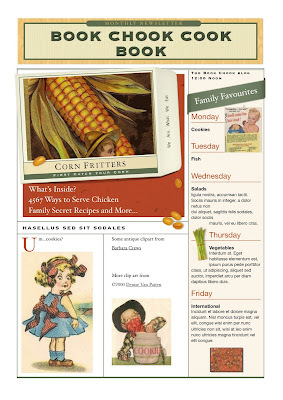 Some recipe sites cater for young learners. Visual Recipes has pictures to accompany the text, making the recipes more accessible to youngsters and to second language learners. Enchanted Learning has more food-related activities than a chook can count: quiz-type, worksheets, crafts, writing templates, and languages other than English. 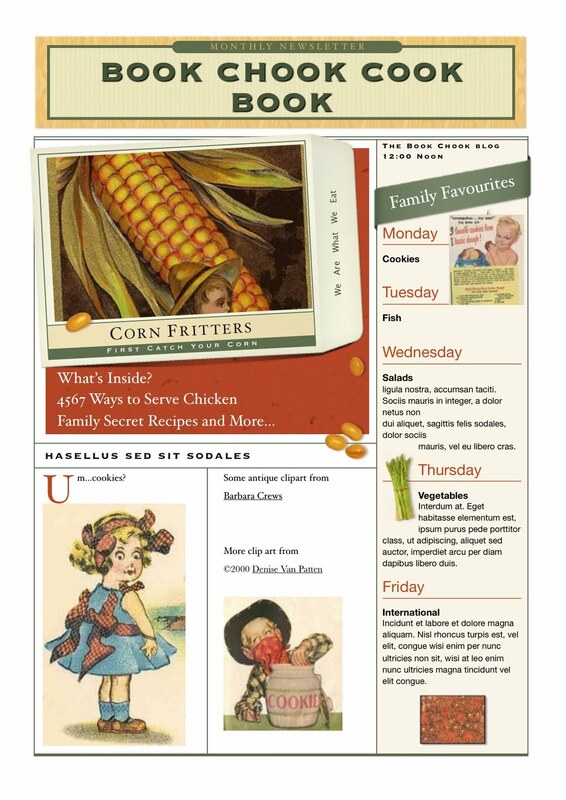 AtoZTeacherStuff has many lesson plans about healthy eating and food. Older kids might be interested in reading about insects as food! The Peace Corps Challenge is a game that helps kids understand the problems facing people in different parts of the world. There are some interesting recipes on the site if your kids are interested in reading and trying international dishes. Disney's Healthy Kids is an interactive game where kids need to read, listen and learn before they try to answer questions about nutrition. Sheppard Software have some simple food-related games. Of course, locating and sharing books with a food theme really puts the icing on your family cake (ahem!) Here are some books that I could think of. I'd love you to add any children's books with some kind of food theme in comments below. Coming soon, Let's Eat Our Way to Literacy (2). I'll definitely be looking forward to seeing that, Sparkely! Let me know if I can help. I love the idea of a family cookbook. I'm planning mine now. I think Possum Magic is a bit of a food book too. Catherine, I knew it would happen that someone suggested a book and I would say "Why didn't I think of that!" Absolutely, it's a food book, and not only that, but a great one to get kids talking about Aussie foods too. Thanks for the reminder! Another great idea - simple and everyday useful, with lots of learning potential and fun. You rock! A family cookbook is a really nice idea! Thank you. Two of my very favorite things, cooking and reading. Great idea for creating a heirloom cookbook. It would also be fun to create a class cookbook. I think that's what 2sparkley has in mind, Kelly. Such fun to see how it goes! Eva, I am up for the challenge! How about if everyone sends me one tried and true recipe that gives them more time to read by being quick and easy to make? AND their favourite literacy quote. I will add my own, compile, and publish it at my site for all to download. LOVE this post and very good timing! I'm reading Charlie and the Chocolate Factory with my son!!!! And, being snoopy I saw that you were thinking about compiling recipes! I would be in!!! I think it would be fun, Tif. I have been mulling over how to do it. I'll put a post up about it soon and see if there is enough interest. Thanks for being the first volunteer! You are an idea factory, Tif! I love the idea of having recipes suitable for kids to cook. Hmmm ... do I maybe need two different cookbooks??? Thanks for those ideas! I will continue thinking. I'll be in touch. Thanks, Tif!